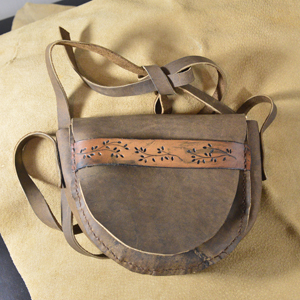 7″ soft side back made from exceptional blacksmith side. Contrasting closure strap. Great for wallet, cell and keys. 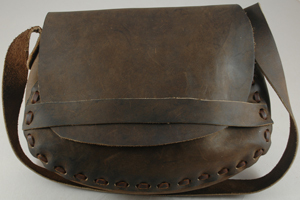 Extremely supple bag made from exceptional blacksmith sides. This small bag is ideal for holding all your essentials. Heavy 8-9 ounce yellow latigo. Hand laced. Extremely durable protection for your valuables. Nice, smaller bag (7″). 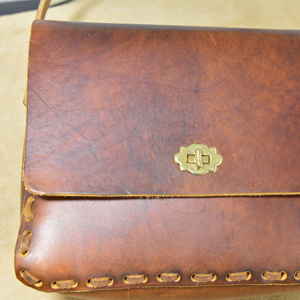 Very soft coffee color leather. Nice perf floral design on flap. Sweet large bag. Deep, rich brown revealing excellent grain detail. Hand laced. 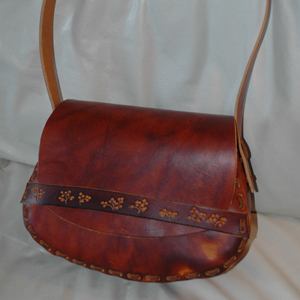 Floral pattern on closure strap. Spacious bag crafted from smooth, flexible blacksmith sides. Plenty of room for everything up to and including your bottle of water. Great feel. 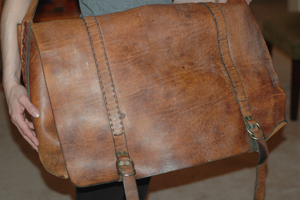 Humongous haversack style bag. Travel, camping, lugging just about anything. Inside pocket as well. Dual brass ring closures. Very cool mystery braid strap. Braided lace pattern on sides. Sturdy 6 ounce oak leather. Will last forever. SPECIALTY BAGS AVAILABLE IN ANY SIZE AND CONFIGURATION TO YOUR SPECIFICATIONS. Nice belt pouch. Tan antique highlights a very detailed, all over floral pattern. 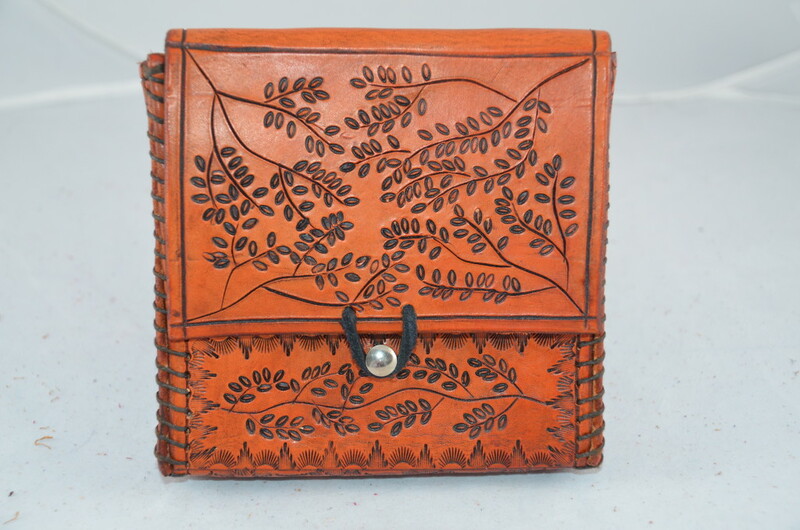 Hand tooled. Oak leather will last longer than you or us. Double belt loops. Great for the stuff you need quick access to….keys, phone, rolling papers. Approx. 6 X 4 X 1.5″. 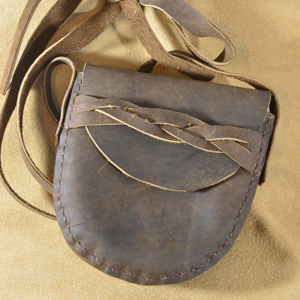 Nice 4 X 4″ belt pouch. 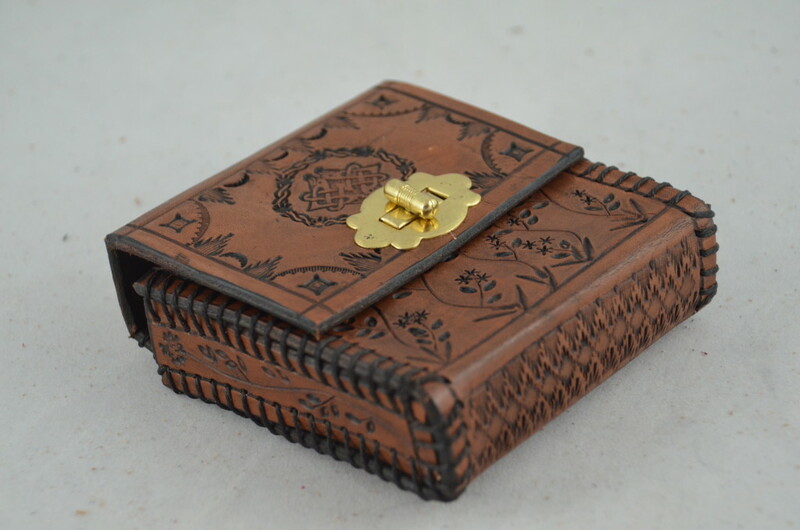 Medium brown antique on sturdy oak brings out the hand tooled rosettes and floral pattern. Great for the things you use the most. Prevents rooting around in your jeans pockets in public.